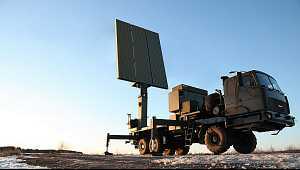 The 3D S-band radar Vostok-3S (kyrill. : «Восток-3С») is designed for detection of aerial platforms, measurement of their range, azimuth, altitude and range rate, automatic target tracking and classification, automatic transmission of radar information into an integrated control system. It uses a phased array antenna turning within 6 rpm and an electronically steared beam in elevation. Vostok-3S is a new-generation fully Belarusian development successfully competing with the American AN/FPS-117, Russian Protivnik-GE and Ukrainian 80K6 radars.